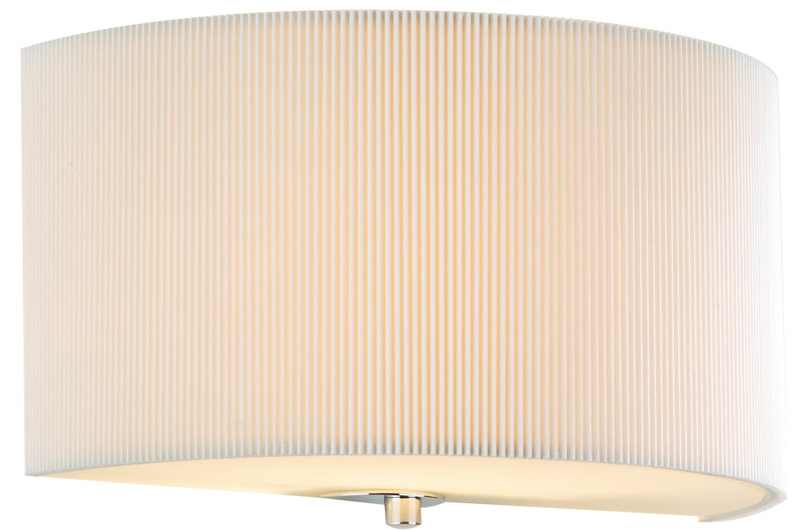 Cream pleated fabric semi circular half drum lamp shade wall washer light, with an opaque glass shade on the underneath for a soft mellow light. This lovely wall washer directs most of the light up and downwards to wash the wall above and below with a soft light. A flush fitting wall washer light, with cream micro pleated shade, glass diffuser and chrome fixing plate.